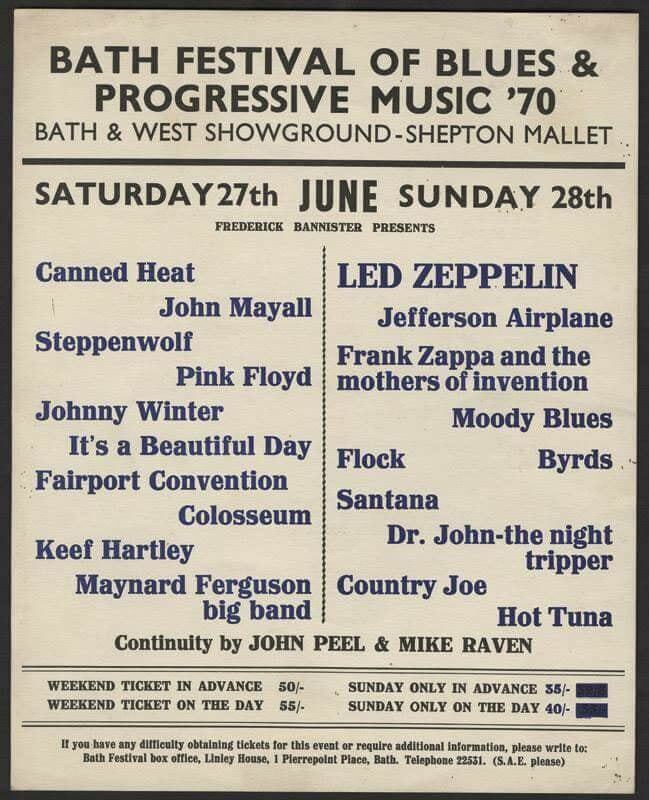 Between 20 and 30 minutes of official colour footage of Led Zeppelin performing at Bath Festival on June 28, 1970 exists, according to Professor Steve Chibnall from De Montfort University. Professor Chibnall spoke at an event at the Royal Albert Hall in London on May 27 which covered the films of director Peter Whitehead. Professor Chibnall has access to Whitehead’s archive, and spoke about its contents. After a screening of Led Zeppelin performing at the Royal Albert Hall on January 9, 1970, Professor Chibnall mentioned that footage of the band performing at Bath Festival exists. “It exists, I’ve seen it,” he said. During a panel discussion with Julie Felix and the Royal Albert Hall’s Richard Dacre, Tight But Loose editor Dave Lewis asked Professor Chibnall about the Bath Festival footage. Professor Chibnall explained that Whitehead originally planned to combine his footage of Led Zeppelin performing at the Royal Albert Hall with footage from Bath Festival and interviews to form a documentary on the band. “A lot of the footage is backstage,” Professor Chibnall said of the Bath Festival footage. Whitehead originally planned to film the band arriving by helicopter, but he got there too late to capture that on film. The professor also said that he thinks it’s unlikely that Whitehead ever filmed interviews with the band. Professor Chibnall said that Whitehead thought the footage was unusable due to insufficient lighting, but “it is usable” and it’s now possible to restore the footage, the professor said. A display case at the event included a label from Whitehead’s archive which referenced black and white footage of the event. But Professor Chibnall confirmed that the footage he has seen is in colour. Lewis asked who owns the footage, and Professor Chibnall said it’s owned by Whitehead. There’s no music with the film, the professor added. British Lions films were in charge of the Eidaphor TV projector screen at the festival and also recorded some acts on two inch tape. They were refused permission to shoot Zeppelin. Another team Paradise/TVX recored in black and white on one inch video tape. Again they did not shoot Zeppelin. Finally Gentle Giant Films recorded on colour 16 mm. It is believed this source produced the sole footage of Zeppelin and still exists though as yet it has not surfaced. 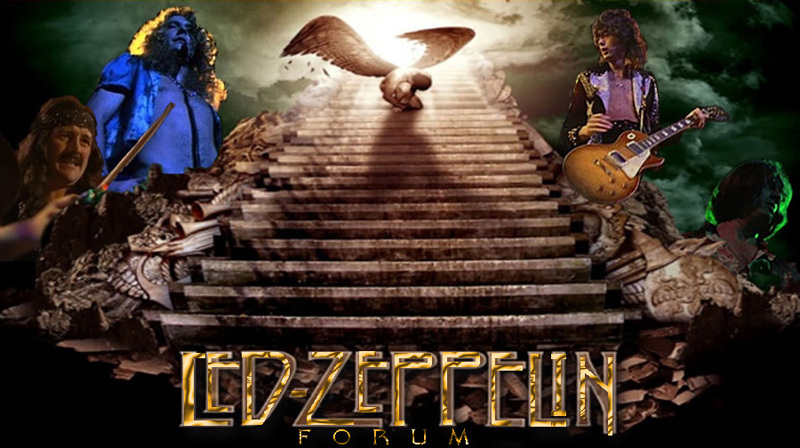 Follow Led Zeppelin News on Twitter, Facebook, and Tumblr to stay up to date on news as it happens. You can also sign up to our weekly email for a digest of the week's news sent to your inbox every Sunday. Pour résumer, le gros du document qui appartiendrait à Peter Whitehead, cinéaste britannique de son état, se passerait backstage et avait été filmé selon les instructions de Peter Grant dans le but de l'utiliser ultérieurement. Après de multiples questions posées par Dave Lewis, le tôlier du fanzine Tight But Loose à Chibnall, et ce, dû à l'insuffisance de lights, il ne semble pas exploitable pour en l'état. Manifestement, il n'y aurait pas de musique sur ce doc selon Chibhall. Sinon, quelle affiche quand même !!!!!!!!! !